The Forest and Wildlife Departments in the country began to lay claims to these lands because much of the area had become a jungle due to neglect in the war years. 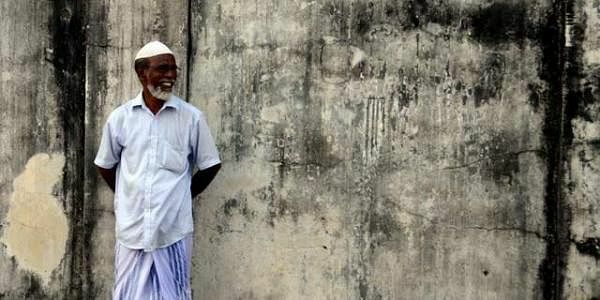 COLOMBO: Muslim farmers in Ampara district in Eastern Sri Lanka are pleading with the government to return 2878 acres of agricultural land which ought to have been given back to them when the 30-year war ended in 2009. The non-return of these lands has affected 1406 families, who find that the end of the war has brought no relief to them in economic terms, according to K.Nihal Ahamed, Co-ordinator of the Ampara District Alliance for Land Rights (ADALR). The 'Good Governance' government of Maithripala Sirisena is as indifferent to their pleas as the previous government led by the hawkish Rajapaksa, ADALR stated. Ahamed told Express that the lands, which were seized by the LTTE in the 1980s, subsequently went into the hands of the Sri Lankan army and were then handed over to various government departments such as the Forest or the Archeology Department. The lands are now being used for various purposes including the construction of military camps and settling Sinhalese from outside Ampara district, he said. A document submitted to the government by the ADALR states that in the Vegamam area of Pottuvil, 450 acres belonging to 140 Muslim families with government permits to cultivate them, were acquired by the Wildlife Preservation Department. These lands were cultivated by these permit holders from 1956 to 1990, and from 2009 to 2011. Between 1990 and 2009, the lands were in the possession of the LTTE which had driven the Muslims out. The Muslims went back to the lands after the war, only to be asked to vacate in two years by the Wildlife Department. In Kiran Kovai and Palayadi Vattai, 503 acres belonging to 250 Muslim families which had been cultivating them from 1976 to 1990 and from 2009 to 2011 had been handed over to the Forest Department. In Kiran-Komari, 885 acres,with permits, cultivated by 177 families from 1960 were included in the forest zone and cultivation was prohibited. The Forest and Wildlife Departments began to lay claims to these lands because much of the area had become a jungle due to neglect in the war years. The repeated plea of the original owners that the lands were cultivable fell on deaf ears. In Ponnanveli, nearly 600 acres, originally in the hands of 176 farmer families from 1948 onwards, were handed over to the Archeology Department or for 'Holy Land' development as the area was considered sacred by Sri Lanka’s powerful Buddhist majority. In Ashraff Nagar, 150 acres were taken over by the armed forces or handed over to the Forest Department, affecting 69 farmer families. In Ambanam Oya, 140 acres originally cultivated by 48 families since 1932, were taken over for colonisation by the majority Buddhist community from outside Ampara district. Likewise, Sinhalese colonisation has taken away 96 acres in Keethapaththu affecting 46 families. Ahamed charged that minority Muslims and Tamils are being discriminated in land distribution in the multi-ethnic Ampara district. Sinhalese constitute 39.9 percent of the district population (as per 2002 figures) and ought to get 606 sq miles. They, however, occupy 1330 sq miles. The Muslims, on the other hand, constitute 41.3 percent of the population and ought to get 728 sq miles, but have only 264 sq miles. The Tamils, who are 18.4 percent of the population, ought to get 362 sq miles but occupy only 157 sq miles. Ahamed fears that the minorities will keep losing their lands unless it is stopped now. The farmers regret that Muslim political leaders, including those in the government, have been of no use. ADALR has decided to fight on a non-political platform using instruments like the media and the Right to Information Act to get the government moving on their petitions.